ISLAMABAD: The United States and the Taliban may have agreed on a plan to pull out American troops from Afghanistan, Voice of America reported on Saturday. 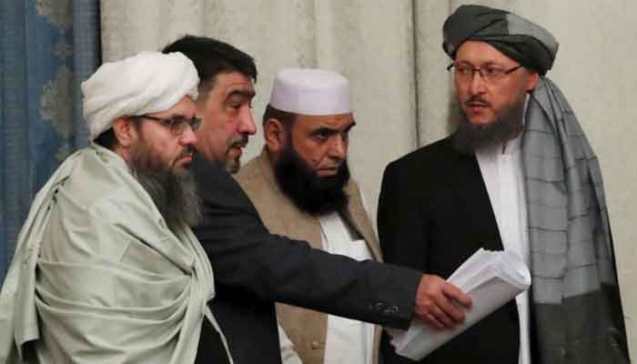 VOA quoted sources as saying the insurgent group has given assurances that no international terrorist groups would be allowed to use Afghan soil to threaten America or any other country in future. The understanding, according to the VOA, is the outcome of nearly a week of intense and uninterrupted dialogue between U.S. and insurgent representatives in Doha, Qatar. Representatives of the host government and Pakistan have also been in attendance. The two negotiating sides are expected to announce the withdrawal plan as early as Saturday and at the latest by Monday, if all goes as planned. Sources, however, do not rule out the possibility of President Donald Trump announcing the final agreement with the Taliban at his State of the Union speech now that the U.S. government shutdown has ended. There was no immediate comment from the U.S. or the Taliban on the reported progress in their talks, it said.